The first efforts to write Inuktitut came from Moravian missionaries in Greenland and Labrador in the mid-19th century using Latin script. 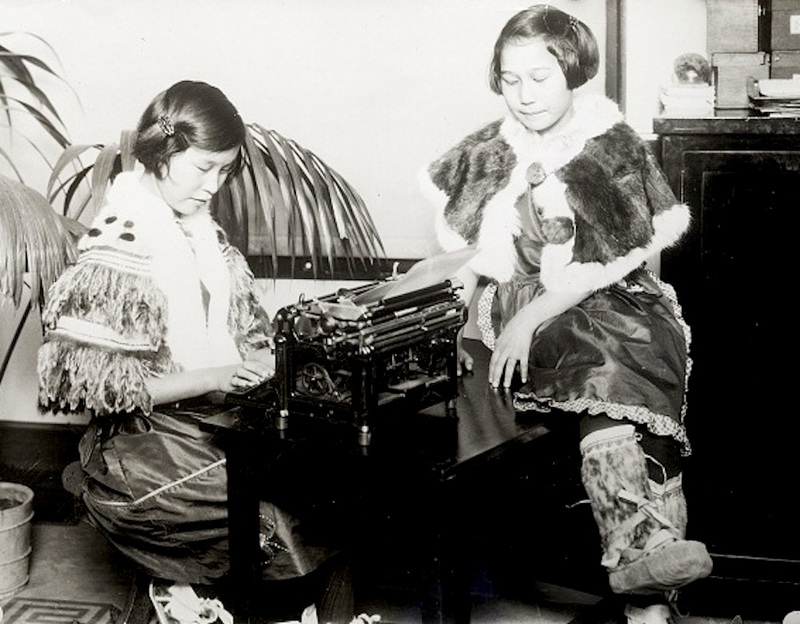 The first book printed in Inuktitut using Cree script were selections from the Gospels in the dialect of the Inuit of Little Whale River (ᒋᓴᓯᑊ ᐅᑲᐤᓯᐣᑭᐟ, Jesus’ words), printed by John Horden in 1855–56 at Moose Factory for Edwin Arthur Watkins to use among the Inuit at Fort George. In November 1865, Horden and Watkins met in London under Henry Venn’s direction to adapt Cree syllabics to the Inuktitut language. In the 1870s, Edmund Peck, another Anglican missionary, started printing according to that standard. 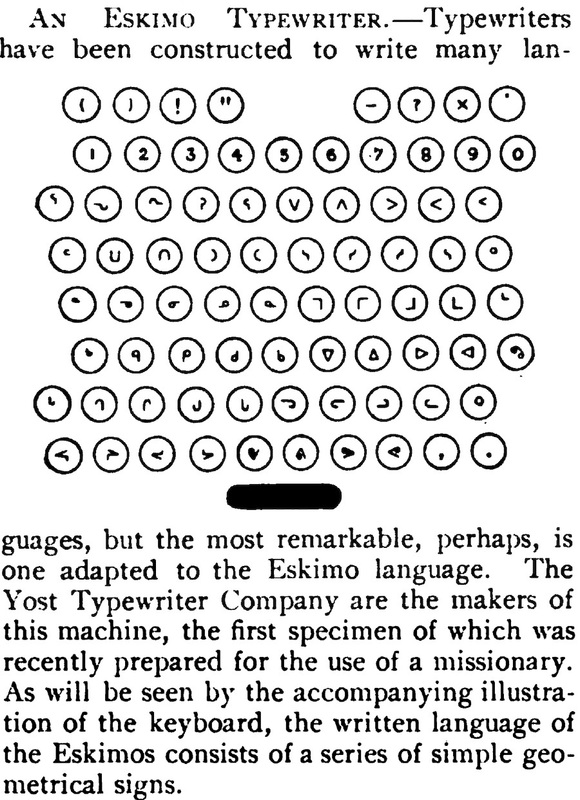 Other missionaries, and later linguists in the employ of the Canadian and American governments, adapted the Latin alphabet to the dialects of the Mackenzie River delta, the western Arctic islands and Alaska.